The spa parlour sits amidst a picturesque setting next the serene mountainside and cascading waterfalls. You will find yourself feeling zen-like and refreshed even before you start your spa treatment, for the breathtaking surroundings, spectacular sea views and soothing sounds of nature promises to relax and rejuvenate. You will find a myriad of massage treatments, body wraps, scrubs, facial treatments and slimming services available at Eranda Herbal Spa. 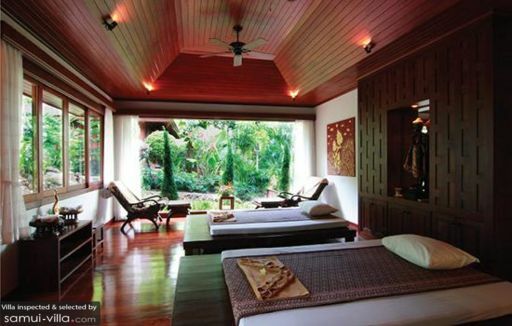 Listen to the calming tones of Thai music, and enjoy rhythmic kneads by the massage therapist. Soon, you will be lulled into a state of utter bliss and relaxation.